08-14 Subaru Impreza WRX Air Bypass Tube. Removed from a 08 Subaru Impreza WRX Sedan, 2.5L Turbo MT w/ 124k Miles. SUBARU IMPREZA Forester Legacy 2.5L 2.2L. Weapon R Performance Secret Weapon Air Intake. From Weapon RRacing Technology. with the Free Cold Air RAM Kit. and is a easy to install air intake system. 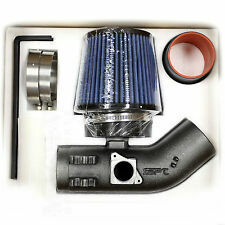 Outperforms other Cold Air Intakes. This is a used genuine Subaru air intake resonator box pulled from a 2003 Subaru Forester XS. This resonator is in good condition with no cracks. This is genuine Subaru part number 46043SA000 and will fit 2003 - 2004 non-turbo Subaru Forester and 2004 non-turbo Subaru Impreza models. NOT FIT if your car have After Market Turbo Kit. Include ALL (BLUE) accessories UNIVERSAL (RED) high performance washable Air Filter. Fit the models below. 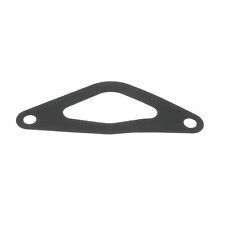 Fit the models below NOT FIT if your car have Throttle Body Spacer. Engines, Transmissions, Parts imported from Japan. Trending at $89.10eBay determines this price through a machine learned model of the product's sale prices within the last 90 days. F1-Z Double air intake turbine. Turbine type: Double turbine. Rhombus deflector hole design, enhance the intake function and intake stability; greatly increase the torsion in the low speed and the intake air flow; let gasoline burn sufficiently; make throttle lighter and more flexible. 2011 Subaru Impreza Air Intake Chamber Oem. Condition is Used. Shipped with USPS Priority Mail. 2010 Subaru Impreza Sedan 4dr Auto 2.5i Premium VIN: JF1GE6B66AH502010. Any sign of tampering or attempt to disassemble or alter the part will void the warranty. proof/receipt of work is required! The warranty does not cover failure due to misuse, improper repairs or maintenance, installation, alteration or modifications. Off a 2009 Subaru Impreza Wrx 4 door Wagon with manual transmission. We want you to be 100% happy with your order. Weapon R Performance Secret Weapon Air Intake. From Weapon R Racing Technology. with the Free Cold Air RAM Kit. and is easy to install air intake system. 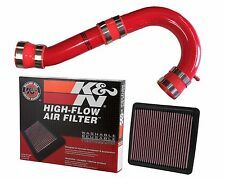 Outperforms other Cold Air Intakes. 60 Day Returns. Fast Shipping. Authorized AEM Dealer. THE SYSTEM WAS REMOVED FROM A LOW MILEAGE VEHICLE BUT MAY HAVE SCUFFS, SCRATCHES, MARKS, OR DUST AND DIRT FROM NORMAL USE AND STORAGE.